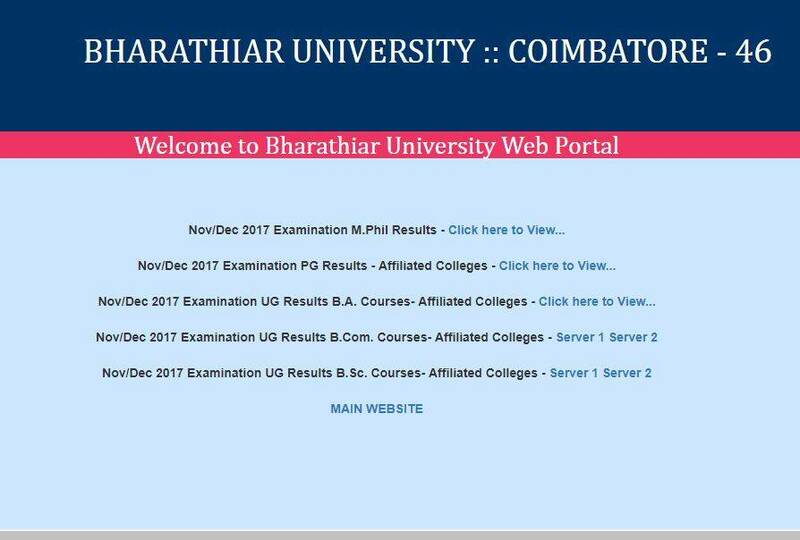 Bharathiar University results 2017: Along with UG, the results of postgraduate and M Phil courses have been released. Last month, a case was filed against Bharathiar University’s Vice-Chancellor, A Ganapathy on a complaint filed by a woman belonging to the Scheduled Castes. She alleged that she was deliberately denied post-doctoral fellowship. The Bharathiar University was established at Coimbatore 1982 The Postgraduate Centre of the University of Madras, which was functioning in Coimbatore before 1982 formed the core of the Bharathiar University. In May, 1985 the University received the recognition from University Grants Commission (UGC) New Delhi for the purpose of grants.